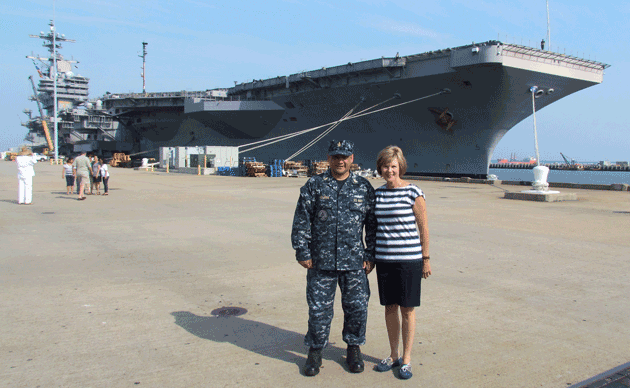 Over the last three years Judith’s Reading Room has donated two libraries aboard the USS GEORGE H.W. Bush (CVN 77) aircraft carrier. This has been an ongoing effort and a primary focus of Judith’s Reading Room’s Holiday Book Drives in 2012 and 2013. The first library, for the Sailors, was established in March of 2011. Since then, shipments are made monthly, in honor of Charles A. Horne, Jr., a WWII naval hero and uncle of the Co-Founders to this aircraft carrier, home to 4,500 Sailors. In July of 2012 the co-founders were extended a tour around the carrier which included the library the book Judith’s Reading Room sends. It was then that they came to understand that Sailors are invited to read children’s books on tape and then tapes are sent to the families. 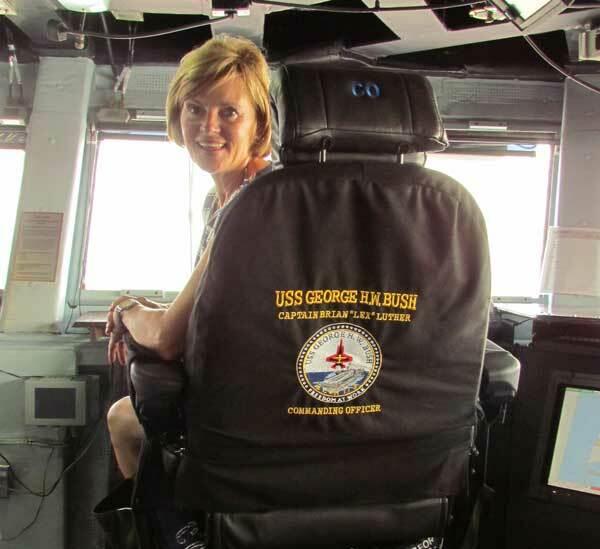 The donation in December 2012 of a children’s library on board the USS GEORGE H.W. BUSH (CVN 77) aircraft carrier was announced. This second library Judith’s Reading Room provides Sailors more opportunities to stay connected with their children while serving overseas for long periods of time. The Sailors read to their children when the Skype home! In 2013, George H. W. Bush started up a new campaign with United Through Reading (UTR). The Bethlehem Area School District’s Board of School Directors recently approved Judith’s Reading Room as part of BASD’s community service program. Community Service provides an opportunity for students to acquire life skills, develop leadership skills, and explore career choices. Beginning in 1990, the Bethlehem Area School District instituted a revised curriculum that included approved community service for all students. Students receive credit upon completion of the required hours and may be considered for awards and honors. A special recognition, a silver cord, is presented to graduates with 135 hours for their distinguished service. More and more colleges are recognizing community service activities. Some offer scholarship opportunities for service.